Thank you to our valued industry partners. 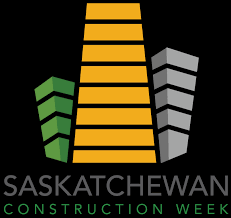 Without you, Saskatchewan Construction Week is not possible! Established in 1964, the Saskatchewan Construction Association (SCA) is the voice of the province’s dynamic construction industry. Its members are involved in every sector of the construction economy. Merit Contractors Association, founded in 1988, is the only open shop association in Saskatchewan, representing more than 80 per cent of all contractors in the province. The SCSA is an industry-funded not-for-profit organization that provides cost-effective, accessible safety training and advice to employers and more than 10,000 employees throughout the province each year. RRHBA represents more than 270 businesses in the residential construction industry, including community developers, home builders, trade contractors, renovators, service and supply companies, and other professionals. CODC is a joint not-for-profit organization that brings together the Construction Labour Relations Association of Saskatchewan Inc. and the Saskatchewan Provincial Building & Construction Trades Council. CLR Construction Labour Relations Association of Saskatchewan Inc. was formed in 1993 to effectively represent contractors working in Saskatchewan on a union-only basis. The Saskatchewan Building Trades is an organization composed of affiliated unions representing organized construction workers in Saskatchewan. The Council is affiliated with the Building Trades Department, AFL-CIO that has over 400,000 members across Canada. PACA is the voice and representative of the construction industry in Prince Albert. Member companies are also members of the Saskatchewan Construction Association and the Canadian Construction Association. The SRHBA represents new home builders, renovators, land developers, trade contractors, product and material manufacturers, building product suppliers, lending institutions, insurance providers, and other service professionals. The Progressive Contractors Association of Canada (PCA) is the voice of progressive unionized employers in Canada’s construction industry. Our member companies employ more than 25,000 skilled construction workers across Canada, represented primarily by progressive labour unions. MJCA is the voice and representative of the construction industry in Moose Jaw. Member companies are also members of the Saskatchewan Construction Association and the Canadian Construction Association. RCA is the voice and representative of the construction industry in Regina. Member companies are also members of the Saskatchewan Construction Association and the Canadian Construction Association. SKTN CA is the voice and representative of the construction industry in Saskatoon. Member companies are also members of the Saskatchewan Construction Association and the Canadian Construction Association. The Saskatchewan Association of Architects (SAA) is a self-governing professional association, mandated by the Province of Saskatchewan under The Architects Act, 1996 to regulate the practice of architecture in the province.